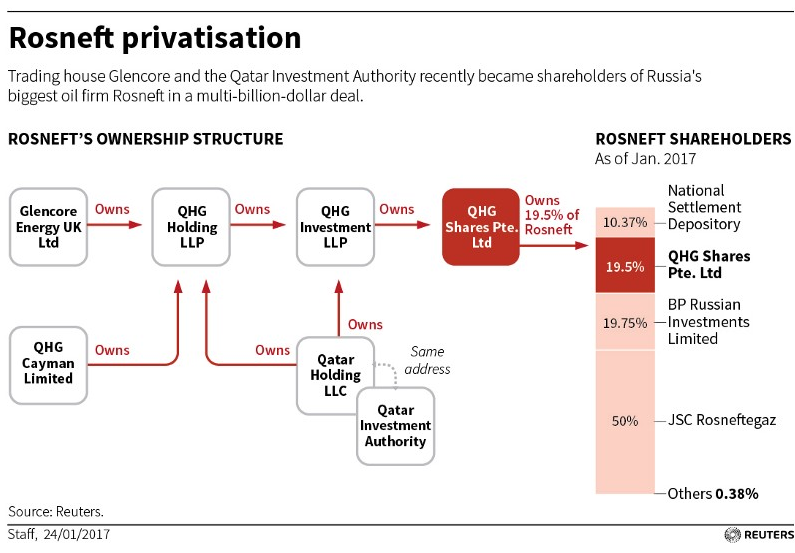 The chart views below show the December 2016 Rosneft 19.5% privatization deal with Glencore and the Qatar Investment Authority. 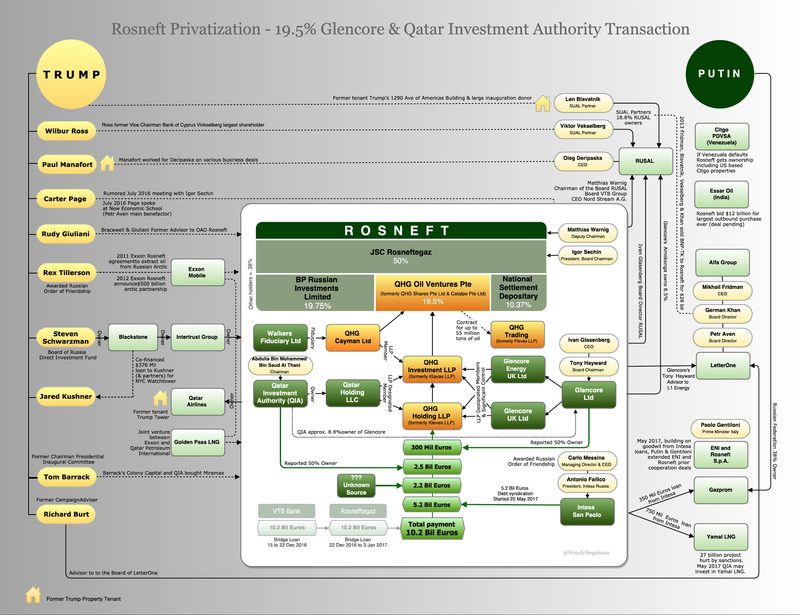 Scroll down to see a detailed chart showing the complex overlapping financial and political connections related directly and indirectly to the December transaction. Also see SCL/Cambridge Analytica chart, Trump-Parscale, Trump Soho & Drake Hotel charts. NOTE: chart not yet updated to reflect CEFC China Energy 14.2% investment. Note: some filing data has updated and is not yet reflected in the chart. 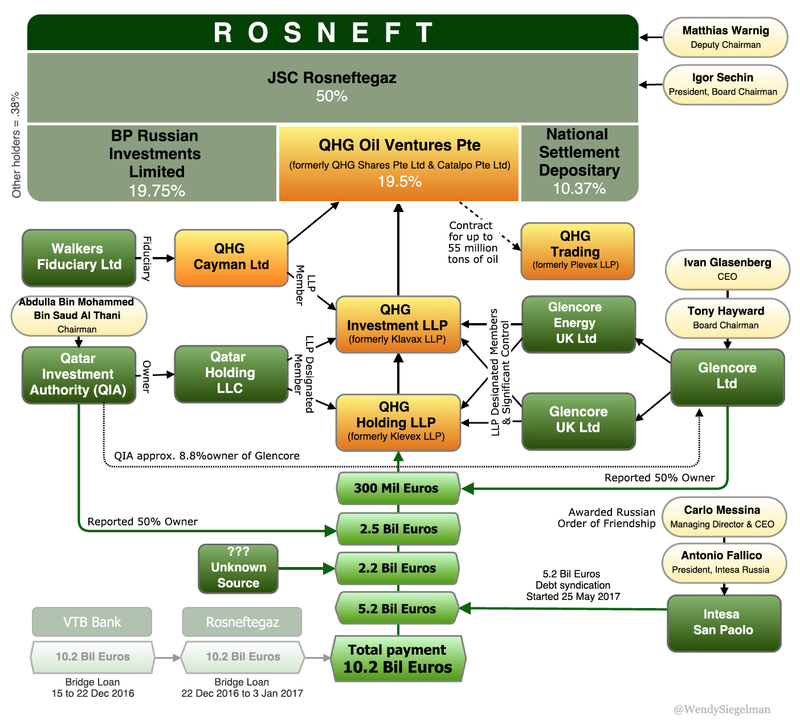 This Reuters chart provided information used in the basic chart. Ownership, company names, and other data was updated and expanded based on Companies House filings and other sources noted above.